This series of Storebro Twin Screw motor yachts were built in Gothenburg, Sweden and have always been regarded as very good quality boats. 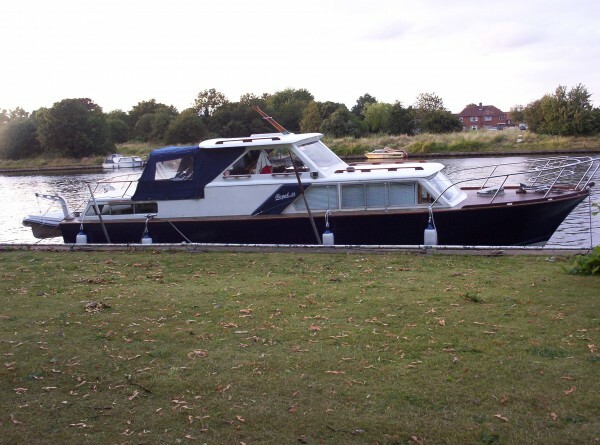 The yard went on to produce a similar boat in grp followed by many more grp designs. The Royal was one of the bigger designs and the most popular. The design is particularly appealing with a 2-berth sleeping cabin at either end, a large saloon in the middle and a covered open-backed helm position which doubles as a further living space in the right weather conditions. 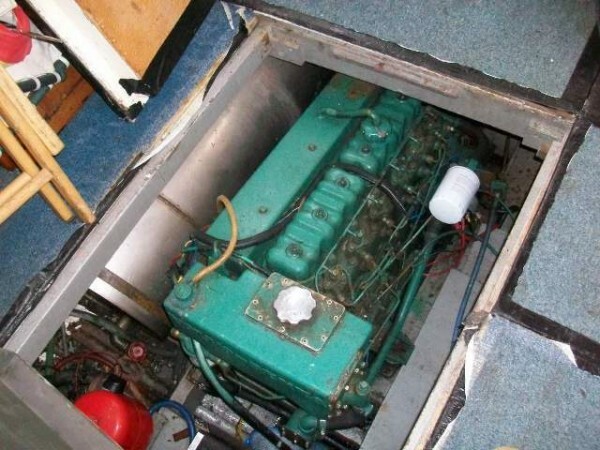 The engines were sited under the helm position making them fully accessible. 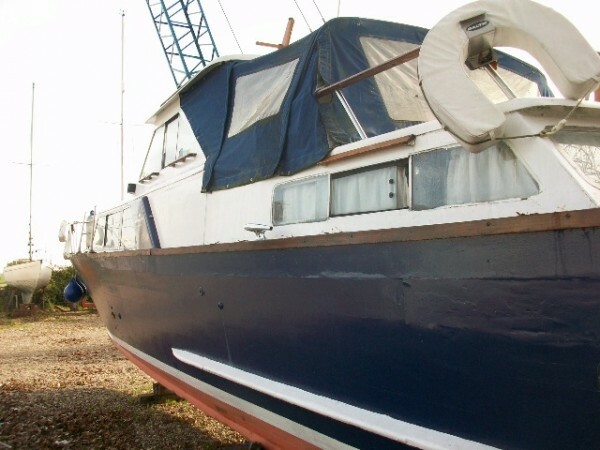 This boat was built in 1969 and imported into UK by her Yorkshire owner. She spent most of her life on the East Coast. 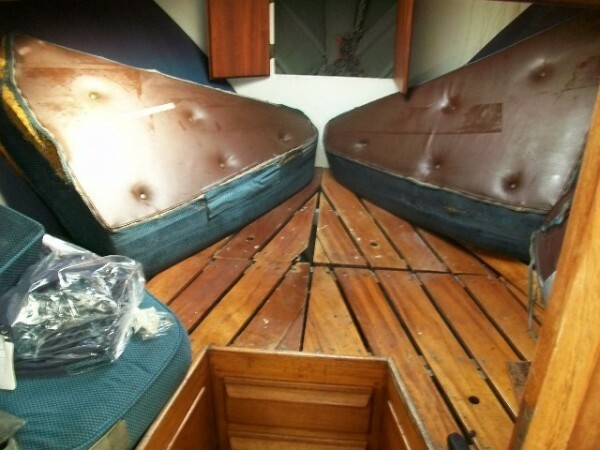 Purchased by the previous owner in 2001 and a thorough refit was done particularly to the accommodation and equipment. The engines were overhauled in 2003 and in 2011 she had another big refit, this time addressing some soft planking found in the topsides. During this time she made 8 cross Channel passages and cruised the Dutch, Belgian and French canals. A recent survey revealed a few more deteriorated planks in the topsides. She has been in commission all through the season of 2014 but is now out of the water and available for a full examination. 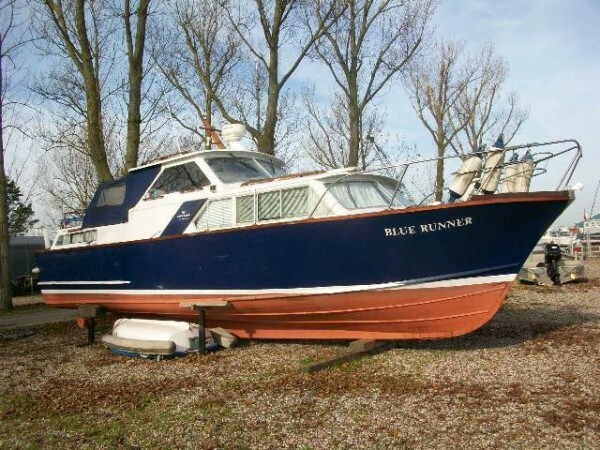 She is offered at a very low price in view of the work required but she must be sold. Construction. Long keel, chine hull with good height topsides. Transom stern flared bow. Conventionally built plank on frame. Mahogany planking on steam bent oak timbers. Deck. Laid teak deck over a ply sub deck. Varnished mahogany cover-boards and king plank. Stainless steel pulpit. 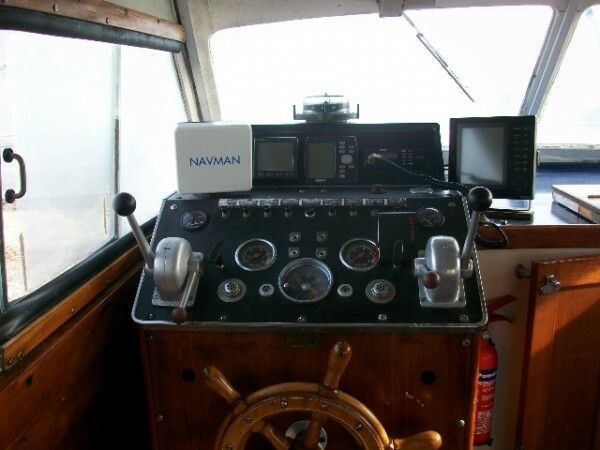 Wide fore deck, narrow side deck and aft deck. Superstructure. 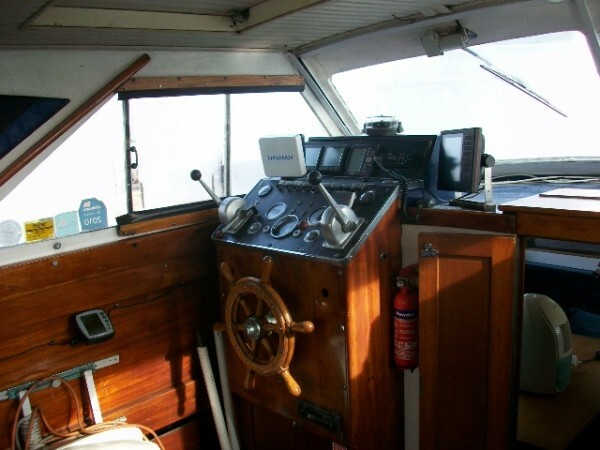 Midships helm position, open backed, enclosed with a canvas cover fitted with side and aft windows so can be carried at sea. Raffish rake to the windscreen. Forward coach-roof over the saloon cabin, windows all round. After coach-roof over the aft cabin, guard rails all round. 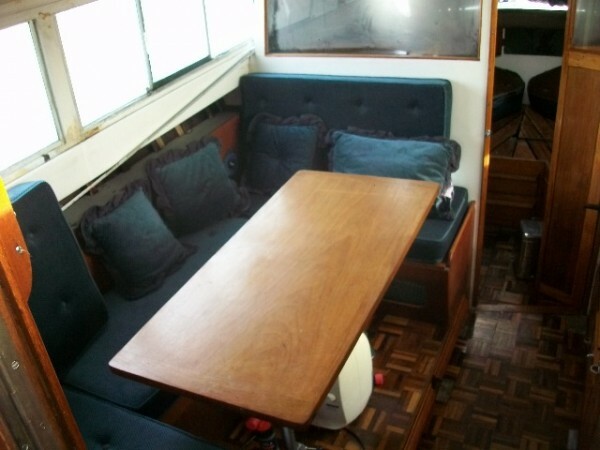 Accommodation 4 berths in 2 cabins + saloon cabin, galley and heads. 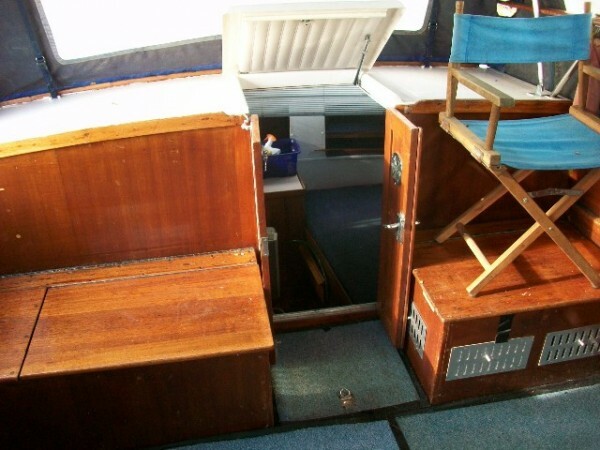 Decent fore cabin with V berths, distinctive circular glazed hatch over. Chain locker forward, high level door access. Hanging locker at the after end of both berths. Stbd offset doorway aft to saloon cabin. U-shaped settee to port round the table, all nicely upholstered in blue fabric on shaped cushions. Varnished parquet flooring. 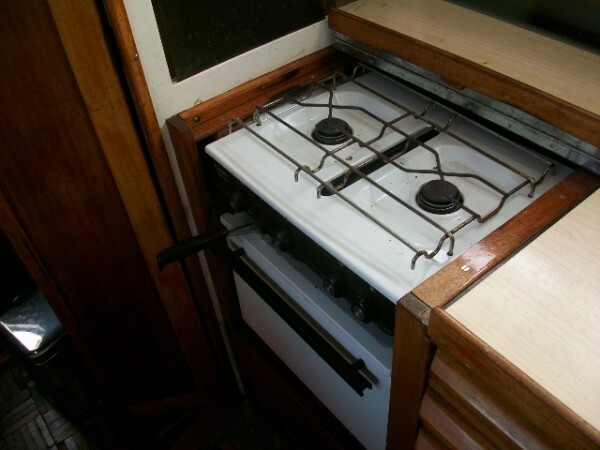 Galley down the stbd side with 2-burner gas cooker and stainless steel sink with pressurised hot and cold water. Heads in the after stbd corner with sea toilet, hand basin and H&C shower. WC either pumped overboard or into a holding tank. Stbd offset door with 3 steps up to the helm position. 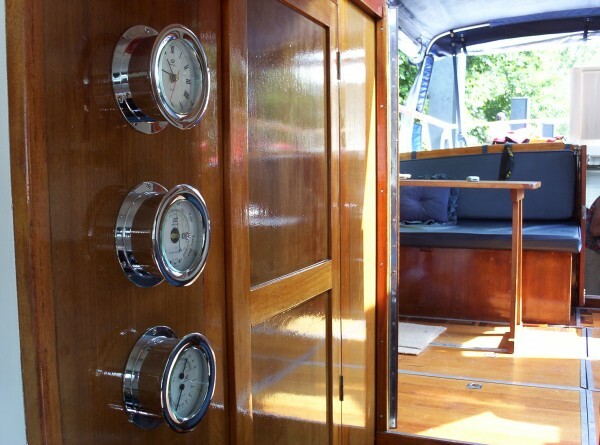 Port side traditional spoked teak wheel with a very respectable display console – oil, temp and rev counters for both engines + 2 x Morse levers, a whole row of switches and the modern nav instruments above. 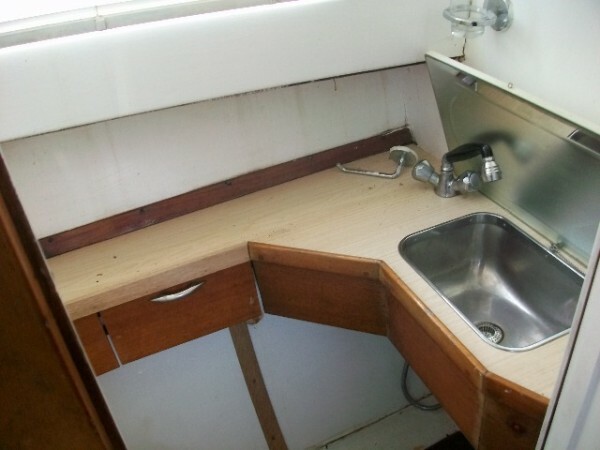 Centre-line steps down aft to the 2 berth aft cabin with port and stbd berths, hand basin and full length wardrobe. Hot water from heat exchanger on the engines and 240v immersion heater when alongside. 6’ + head-room all through. Tidy and largely original varnished mahogany joinery. 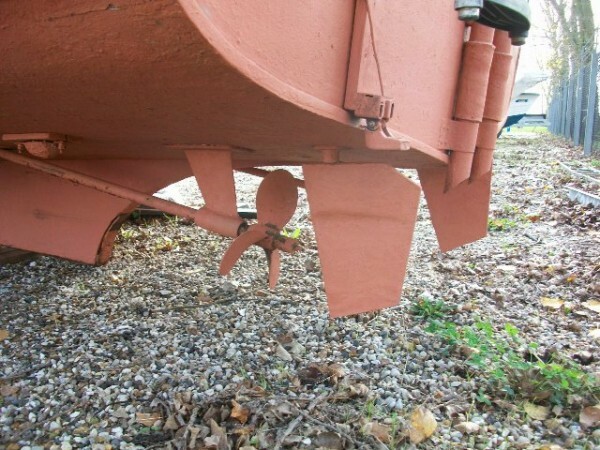 Twin 106hp Volvo Penta TMD 32 diesels, rebuilt 2002. Fuel consumption. 2.4 gph at 10 knts.